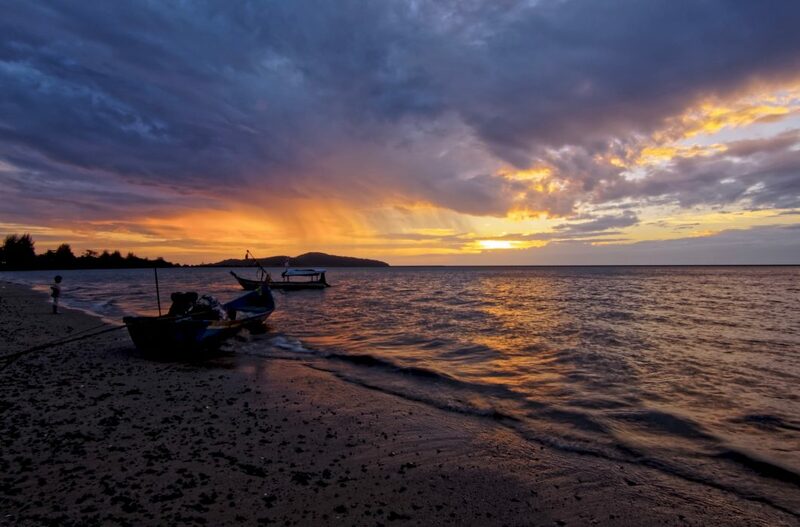 Well known for its palm-lined beaches and mangroves, Langkawi is a cluster of 104 islands in Malaysia. Langkawi means the Jewel of Kedah is situated in the Kedah province of Malaysia. Detached from the mainland in northwestern side bordering Thailand Langkawi beaches are the most sort after tourist locations in the country. The climate is mostly rainy where the summer and dry season is from December to February. Langkawi carries a long monsoon season from March to November, September being the month with most rainfall. There are two main island areas in Langkawi. The southern Islands are more crowded with tourists whereas the islands to north and northeast are lesser explored. 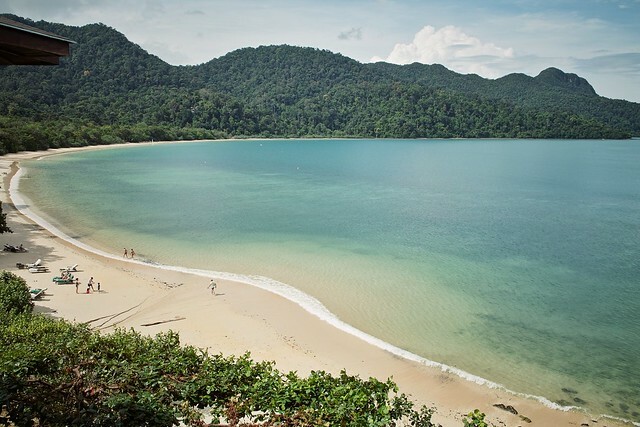 Langan, one of the islands in Langkawi has a freshwater lake and has sandy beaches filled with coconut trees. Dendang Island is a nearby island to it and this island forms a bay like a shape and is very prominent among the tourists visiting here. These areas filled with its natural beauty and calm seas are a favorite spot for yachters and are very famous for yacht tourism. 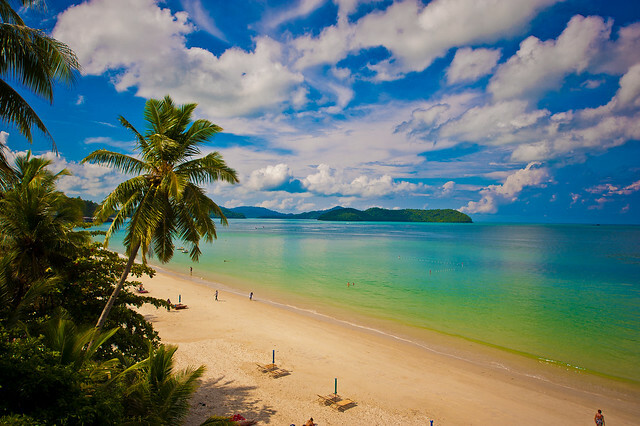 There are many beaches in Langkawi which are worth visiting. 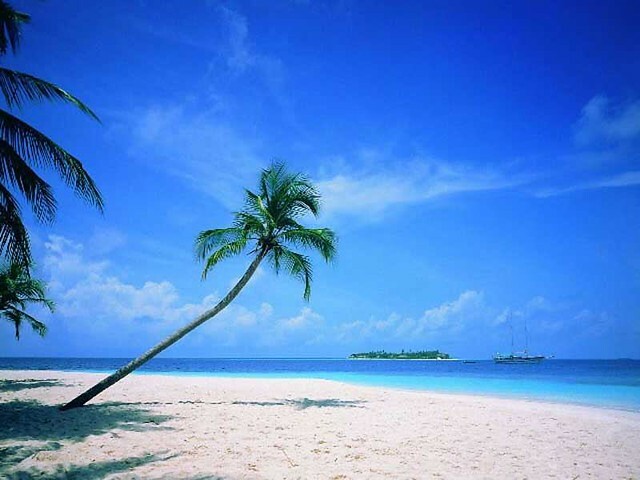 Some of the most popular beaches are Pantai Tengah, Pantai Cenang, Pantai Kok, Burau Bay, and Datai Bay. 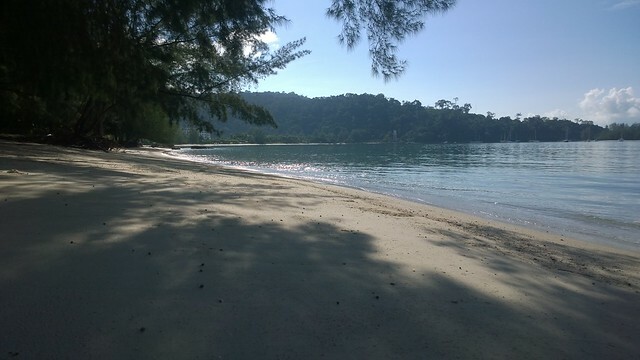 Pantai Cenang is a long stretch of white sandy beach with a greenery around. There are several restaurants providing sheer entertainment and food for the tourists. Live music is a common practice for many of these bar restaurants. A small peninsula separates Pantai Cenang beach with Pantai Tengah beach. Pantai Tengah is also a west facing beach where sunset can be enjoyed at its best. Many hotels, restaurants, and bars operate here also providing entertainment and pleasure to its peak for tourists who are visiting there. Burau Bay, filled with rocks and small rocky projections is different view altogether. It is the favorite spot for many migratory birds and makes it one of the best bird watching locations in Langkawi. Unlike other beaches, Pantai Kok is more towards the quieter side and is a perfect spot for tourist who enjoys fewer crowds and peaceful atmosphere. Limestone hills near the beaches form a perfect scene for the tourists to enjoy. Datai Bay is sandy and sunny on the beach front at the same time has a thick forest in the backdrop. The typical Malaysian rainforests can be enjoyed here which makes it ideal for hikers and campers too. 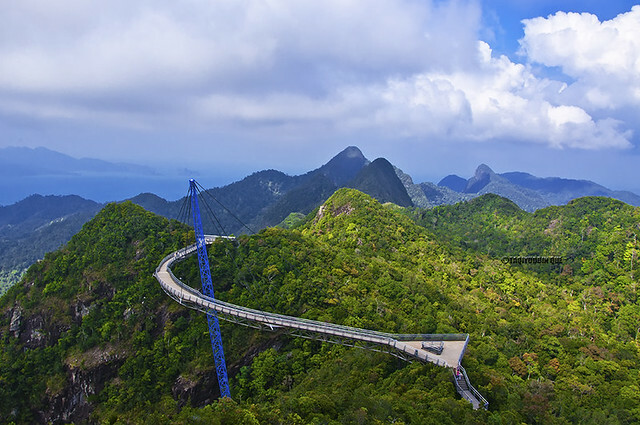 Another major attraction in Langkawi is the cable car and sky bridge. The cable car takes the tourists to the top of Gunung Mat Chinchang mountains and the sky bridge is located there. Other water based activities can also be enjoyed in Langkawi. 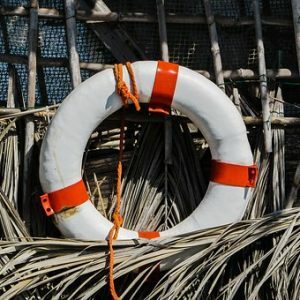 Since it is surrounded by sea, there are plenty of such in an offering like cruises, speedboat rides, yacht rides, and so many others. Langkawi being an island is connected through water transport only. Regular ferry services are there from the mainland ports in Kedah, and Perlis in Malaysia. Also, there are ferries from Thailand port of Satun. Ferry service from Kedah will take one and half hours whereas from Satun its only 45 minutes’ travel. Inland transport can be used by Langkawi car rental services offered by many operators.